TaxAssist Accountants Bebington provides a wide range of accountancy services including tax returns, annual accounts, payroll and bookkeeping. TaxAssist Accountants in Bebington are a part of the largest network of accountants who offer a wealth of experience and expertise to over 70,000 small businesses right across the UK. We help a diverse range of small businesses including start-ups, sole traders, limited companies and landlords who operate in many industries. Whether you're starting a business or already established, our experienced team will be delighted to help you with accounting & tax services tailored to your needs. Our competitive fees are fixed in advance and can be paid in instalments by Direct Debit. We are an Accredited Trader with the Borough Council’s Trader Scheme (also supported by the Office of Fair Trading) so the Trading Standards Department are satisfied we are committed to fair, honest trading and providing high quality services. Contact us today to find out how we can help your business. 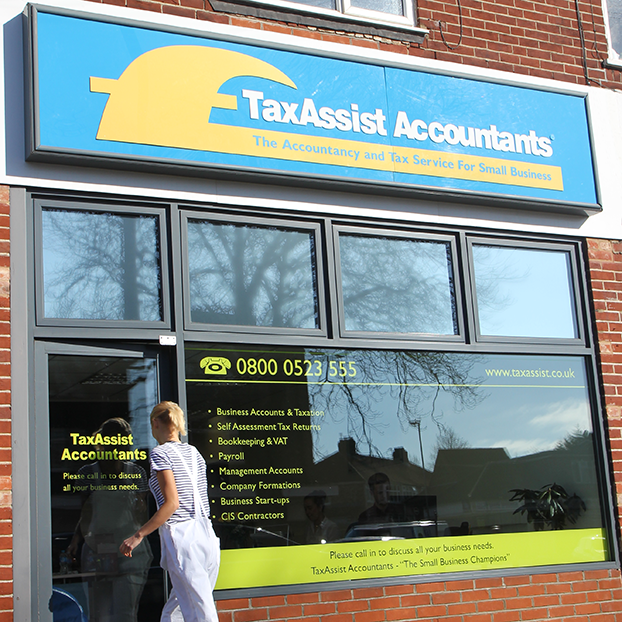 TaxAssist Accountants Bebington can be found next to Blooming Skull Coffee, just up the hill from Bebington Station and Aldi. Free street parking is available outside our sub-office, which opened in 2014. TaxAssist is proud to be a member of Wirral Chamber of Commerce.